Tamohara PMS is an ultimate end for all type of Portfolio management services. They regulate incredible savings based on their investment philosophy. According to Sir, Mr. Charles T. Munger, “over a long tenure, it’s hard to earn a much better return than a business which underlies it earns. If the business earns a profit of 6% over the capital in 40 years of the term, and investor holds it for those 40 years, then the investor is not going to make much different than 6% return- even if the investor buys the capital at a huge discount. On the other side, if a business earns 18% over the stipulated money over 20-30 years, even if the investor has paid expensive money, they’ll end up getting a good return.”The firm Tamohara works on the philosophy of “trick of getting into a better business”. The corporation wishes that investors should earn a good and huge amount of return. Tamohara Investment PMS house offers an absolute return on investment by making a quality business. Tamohara investment management team works with integrity and passion leading to superior business economics. The company is founded and headed by Deepak Singh Tanwar. He is the company’s director. The company registered office is in Mumbai, Maharashtra. The company is established back in 2001, as a private organization. Tamohara investment is boutique management of investment which deals in both domestic and offshore savings equity in Indian assets market. Recently, the company has welcomed, Mr. Sudhanshu Asthana, as the new CEO and CIO, to add in the company’s success. He is feeling blesses to be part of Tamohara investment Company. The corporation has been co originated by Anurag Khetrpal, Deepak Singh, Tanwar Arpit Agrawal, and Sudhanshu Asthana. Tamohara investment PMS is a successful team of the investment manager’s with 7 decades of experience in investing totally. The firm is very much skilled in making wealth for atheist equity portfolios to investors. The Tamohara investment firm has potentially held 17-star years of investing experience in taking care of proprietary and public funds. They with their track record outperformed various benchmarks in the investment market. They successfully have delivered absolute positive investment returns all around the Indian capital market. Invest in Tamohara Investment PMS – Fill up the form Now! The business offers both Discretionary and Non-Discretionary PMS like other PMS houses. The preference of Discretionary and non Discretionary PMS depends upon the choice of the Client. Through facts, mostly customer prefers to take Discretionary PMS, in which buying and selling decisions are taken by the portfolio manager for the customer’s account. In PMS that is Non-Discretionary, the fund manager gives out the advisory services, where all the investment decisions are self-made by the client. AUM (in Cr.) Approx 3,000 Cr. Mr. Sheetal Malpani is Portfolio manager of Tamohara investment PMS division. He is post graduated in management with finance as his major subject. Sheetal Malpani holds a CFA degree with over 12 years of experience in the Indian capital market. He had worked with HDFC, Enam securities and Brics securities before he gets associated with Tamohara. Sheetal has over 250 plus clients and his minimum investment tenure are 3 years in which he deals. He has AUM of approx 3,000 cr. Strategies made businesses. 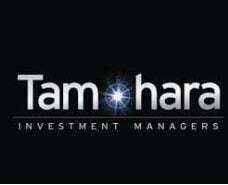 Tamohara investment PMS also lays strategies that are designed to suit every customer. They work on large-cap strategy, Mid-cap strategy, and Small-cap strategy. All the company strategies are based on growth and goal ambition. The focus is to offer product that give the client to create wealth enhancement. The firm knows all the tactics to take out growth opportunities to increase wealth offered by the Indian equity market. TLES comes under small-cap and mid-cap-strategy, with a tactical share of up to 20% in case of unfavorable conditions. The dodge of this strategy is to focus on businesses that are in the beginning stage of the cycle. Thus, while they are at a small stage they can display faster growth rates. This is suitable for minimum investment makers for the tenure of three years with having tolerance for greater-than-average instability. TIOS is created for large-cap and for larger mid-cap companies in share capital domestic Indian market. The strategy trails 15-18 top quality businesses with an established industry form. The focus is on organization with fantastic track-record and with strong leadership in their respective fields. Thus, these traders have a reasonable rate of growth and the least risk of implementation. The strategy is suitable for investors looking for compound wealth with lower volatility. As observed in the table, the augment of return rate is fine and outstanding. The Tamohara investment PMS performance growth have been powerful during all 3 years, as we see that it gets hiked by 10%, for 5 years it again hops to 7%, as the company covers good 7 years it once more shoots to 9.5%. Afterward in 10 years it raised up to 13.5% & for 11 and over it, the return commits it to value to 12.5% CAGR. This growth of performance shows that the company is making the better performance as it gets mature. As a result, if we say, Tamohara investment group is a star PMS house, and then it is not wrong in any way. The table clearly depicts every fragment of an investment plan and you can also calculate various savings slab that is available here. To formulate any venture in the investment Portfolio, it is necessary to make a minimum payment of INR 25L that is applicable as per the Indian capital market. Tamohara Investment PMS have diverse Sets of asset tactics like a Gold plan, silver plan, bronze plan, platinum plan that is tailored to meet every type of clients pocket. Bronze and silver plans are made to stroke the investor’s section of fewer resources while, Gold and platinum are, prepared to outfit the shareholder with huge capital. The bronze plan welcomes the client with up to the range of INR 25 Lakh to INR 50 Lakh. The silver plan falls to accumulate investors of INR 50 lakh to INR 1 crore. The Gold plan is circled out for depositors that can afford the range of INR 1 Crore to INR 5 Crore whilst the Platinum arrangement transacts investors for above INR 5 crore investments. Tamohara Investment PMS have three varied fee blocks, such as Prepaid commission slab, Profit sharing% commission slab and volume % commission slab. Stirring further, all the three-block system of the PMS house will be understood in details. In this kind of fee configuration, management would take its fees before the investment period gets started. The duty charge is lower than other fees mold since this is a prepaid model of commission. The prepaid commission model of Tamohara Investment PMS depends on the investor’s sum. In the above chart of Prepaid commission, you can obviously make the difference of percentage varies according to the amount invested. Similar to, at an investment of Rs.25 Lakh – Rs.50 Lakh, the prepaid commission is 1.7%. For investing Rs.50 Lakh to 1 Cr, the prepaid commission will happen to be 1.5%. For hoard of Rs.1 Cr – Rs.5 Cr the prepaid incriminate is 1.3% & for investment of above Rs.5 Cr, the prepaid charge is 1.1%. Therefore, parallel to this the prepaid value varies low to high with the invested quantity. A Tamohara fee construction which is bottomed upon the entire dealings completed by the fund manager is known as PMS volume % commission. The cost of the commission of this type of duty model stands on the bazaar ‘state of affairs’ and on the faithfulness of finance manager. This kind of replica is appropriate to proffer an excellent payout. Check this below table to be familiar with information supporting Tamohara volume % commission model. As seen in the board, if the annually the deal sum is bordered by INR 2.5 Crore to INR 5 Cr, then 0.12% fees of management will get subtracted. If the contract figure is Rs.50 Lakh – Rs.1 Cr. after that firm charges 0.11% of the overall transaction sum. If the agreement amount is in the center of Rs.1 Cr – Rs.5 Cr, the administration would claim 0.09%. When the contract quantity is superior to Rs.5 cr., the Tamohara management would allege 0.07% of the total contract quantity. In this way, the volume% commission model has been planted. In this kind of fees unit, the organization takes its cost after the profit has been completed on the requisite asset volume. It is solitary the convenient ways of all. In this procedure, the proportion is elevated and the risk is modest. Here beneath, you can perceive a profit% block for each variety of investment. On top of Tamohara investment bandwidth, the amount of profit varies directly with the managing board charge. In the stratum of, if the turnover amount is Rs.2.5 Lakh – Rs.5 Lakh, the union would stress 25% of the total turnover quantity. At, the profit sum of Rs.50 Lakh – Rs.1 Cr., the management would render 23% of the profit. When the revenue is Rs.10 Lakh – Rs.50 Lakh, the management takes 20% of the total profit made and when the yield is more than Rs.50 Lakh then the organization takes up 17% of the full amount of profit. With all these expenses, there are other charges as well with the PMS as brokerage, approximating upfront fees, Exit load, Depository charges, and Custodian charges. Management fees- This is decided earlier to the parties as per the commission model for the PMS investment. Upfront fees-The PMS house takes this fees as an upfront, this is a kind of prepaid price and the charge range from 0.9%-1.5% of the whole asset value. Brokerage charges- This is stimulated by the Fund director as a Brokerage fee which is 0.008%- 0.028% of the total transaction figure. Custodian charge- The guardian fees by the Tamohara PMS house which is 0.28%- 0.38% of the asset value. Depositary charge- The depositary charges array 0.18%-0.28% of the value of the asset. Exit Load cost- The Tamohara exit load is restrictive on the time of withdrawn amount plus on its value. If at hand it is immediate withdrawal within the phase of 12 months of PMS conception, then the exit load fees are 1.1%-2.1% of the withdrawn amount. If it goes beyond to more than a period of 12 months then only 0.35% is cut out to the sum withdrawn. Tamohara PMS house benefits time-tested TOP-up facility with the least quantity of INR with the length of smart investment principles to its clients. Customers are able to make sure any time of their full portfolios and how they have become part of Tamohara PMS firm through hassle-free online check-up. Tamohara PMS quarters present all agreement connected specifics through e-mails and SMS update on daily basis. For personal satisfaction of the customer, PMS offer agility in commission model and investment strategies. Tamohara investment PMS has a team of skilled fund managers and unbelievable client care team that create their PMS best in all over the country. The subject resolving TAT for Tamohara PMS is 17 working days. The company does not provide any chat or WhatsApp support to its client. Tamohara PMS offer Direct Call support to its clientele for individual queries. The firm gives support to the relationship manager. For lofty asset across INR 1 Crore investment or more than, the client can fix an appointment in a month 4-7 times with the fund manager. Investors with low wealth can also tie with fund manager for 1-2 periods in a month. Tamohara PMS engulf most modified and supple PMS all over the country. The PMS house has built its channel all across to cover the wide range of investor’s portfolios. For the last 17 years, Tamohara has productively run public and propriety savings. Moreover, the firm has outperformed a leading track-record making a benchmark. The firm has always delivered an absolute positive return in Indian share market. So, it is enough reason to consider it as a wholesome solution suitable for your PMS creation. Fill your details & connect with Tamohara PMS Experts. Hurry!!! Still Confused! Fill details & Connect with Tamahora PMS Experts. Hurry!! !